On behalf of the City of Ewing, it is my pleasure to welcome young musicians to take part at the Young Talents World Performing Arts Festival 2018. Young Talents World Festival of Performing Arts 2018 is the first step in your journey to follow your dreams, master your performing skills, and get recognized! Presented by Global Music Partnership and hosted by the 1867 Sanctuary in Ewing, New Jersey, this Festival offers tremendous opportunities for young musicians to showcase their talents, build professional relationships, and win amazing awards. The Festival will take place in the culturally rich vicinity of Princeton University and historic Philadelphia, home of the world-famous Curtis Institute of Music and the legendary Philadelphia Orchestra. 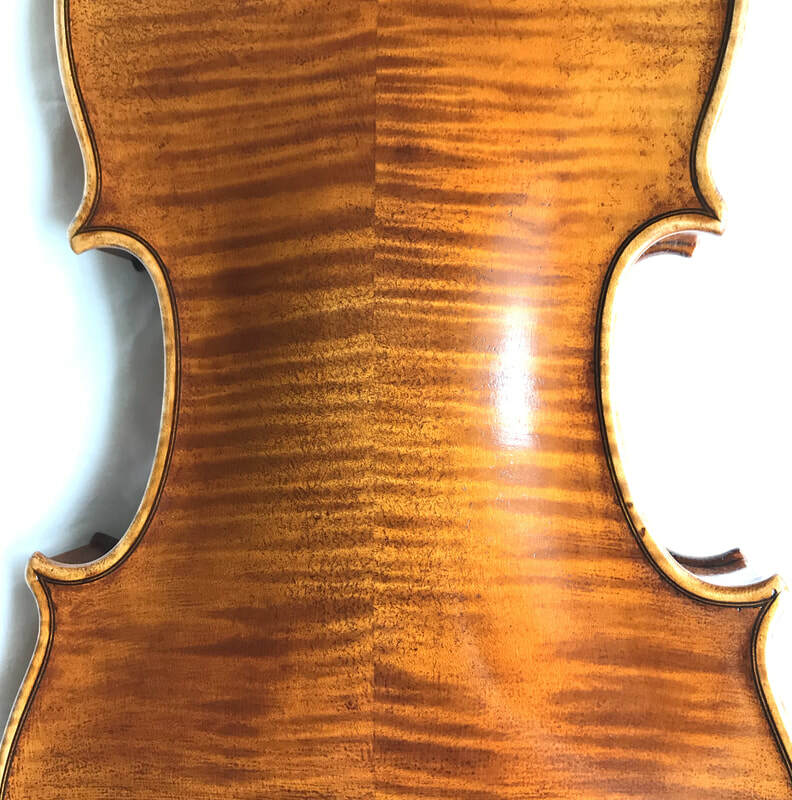 "I’ve examined the violin, which will be awarded to the Global Music Partnership 2018 winner. 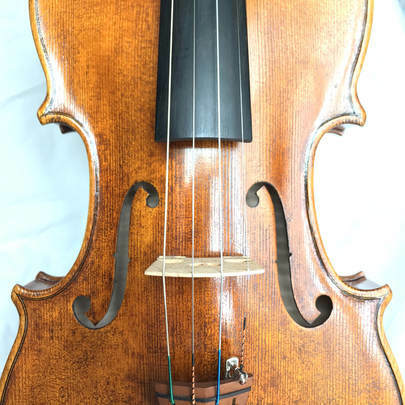 The craftsmanship of the instrument is excellent in every respect and should make an outstanding instrument for future concert use." 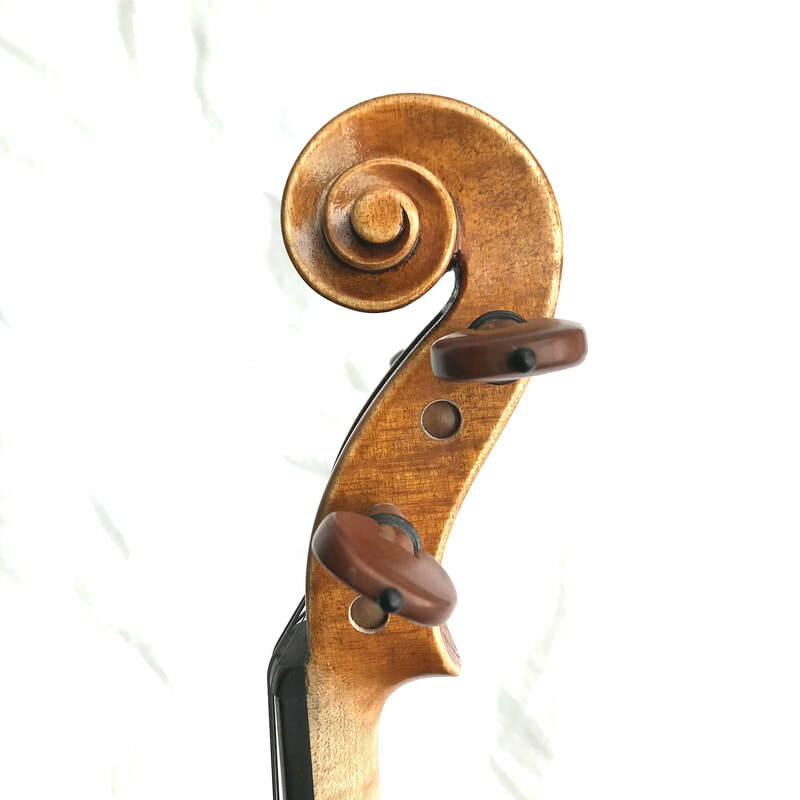 "After trying the cello bow, I found it to be well balanced and strong. It looked nicely made and would be of great benefit to an advanced student." Derek Barnes, the Philadelphia Orchestra cellist, graduate of The Curtis Institute of Music. Master Class with honorary artist(s). The audition process consists of two rounds: Preliminary Round (no travel required), and Winners Recital Final Round. ​Preliminary Round will be adjudicated via submitted YouTube, Vimeo, YouKu etc. links or DVD with unedited video recording of applicant's performance. The most talented applicants from each category will be selected to perform at the Winners Recital and compete for special awards. ​b) Selected composition has to be performed in its entirety and by memory. Applicants may perform from music scores, if the composition cannot be memorized. c) A movement of a sonata or concerto will be considered as a single composition. d) No repeats, cuts are permitted to fit performance time frame. e) Pieces with accompaniment should be accompanied by piano. a) Any chamber music composition of ensemble's choice from standard repertoire of any period (Baroque, Classical, Romantic, etc. ); not exceeding the following time limit (no exceptions)...........12 min. or less. b) No repeats, no cuts. c) Chamber Ensembles are encouraged to perform from music scores. 3. Application Terms and Fees. 3.1. The Application deadline is April 10 (extended to April 20), 2018 for contestants already present in the USA (US citizens, permanent residents, visitors or those having any other status) and expecting to be in the USA during the Winners Recital Round (May 5, 2018). The Applications must be submitted no later than April 10, 2018 11:59 PM EST. 3.2. The contestants from other countries, who do not have valid US entry visa, must submit their Applications no later than March 15, 2018 11:59 PM EST. This will allow appropriate time frame for visa obtaining process. The Application deadline for contestants from other countries, who have valid US entry visa at the time of travel for the Winners Recital Round is the same as 3.1.: April 10, 2018 11:59 PM EST. 3.3. Applicants sending their application materials via mail should consider estimated mail delivery time to make sure the package is delivered in due term. 3.4. Applicants, who will need to get US entry visa to travel for Winners Recital Round (and any accompanying persons), are solely responsible for obtaining such visa from United States Consulate of a corresponding country. GMP will provide a letter of invitation for those contestants selected to perform at the Winners Recital. GMP does not bear responsibility for any applicants’ and/or any of their accompanying persons’ failure to obtain US entry visa resulting in inability to travel for the Winners Recital. 3.5. Non-refundable Application Fee for SOLOISTS is $99. ​3.6. Non-refundable Application Fee for ENSEMBLES is $199. ​a) Video recording should be a fair representation of applicant's current performance skills. Video recordings do not have to be professional, as long as the sound and image is clear. If you record with smartphone, make sure it is in a landscape position. c) A single camera/camcorder/smartphone should be set up close enough to capture clear sound, hands and the body of the applicant without obstruction throughout the entire performance. Far away placed recording device will result in a poor sound quality. Recording with use of multiple cameras will be disqualified. d) The camera should not zoom or move during the entire recording. e) Upload your video to one of the online platforms, such as YouTube, Vimeo, YouKu etc., preferably in HD quality, and submit the link to the video in your Application Form. f) YouTube users must upload their video file as "UNLISTED" or "Public"
g) If you mail a package with your application materials by post, please, send a labeled DVD along with the Application Form and a bank certified check or money order made payable to Global Music Partnership. Make sure the applicant's first and last name appear on the certified check or money order. h) DVDs and other application materials will not be returned. ​a) Video recording should be a fair representation of ensemble's current performance skills. Video recordings do not have to be professional, as long as the sound and image is clear. If you record with smartphone, make sure it is in a landscape position. b) Dress code: appropriate outfit (no pajamas, flip-flops etc.). c) Single camera/camcorder/smartphone should be set up to capture clear sound and all ensemble members without obstruction by each other, music stands, etc. throughout the entire performance. Far away placed recording device will result in a poor sound quality. Recordings with use of multiple cameras will be disqualified. f) YouTube users must upload their video file as "UNLISTED" or "Public". g) If you mail a package with your application materials by post, please, send a labeled DVD along with the Application Form and a bank certified check or money order made payable to Global Music Partnership. Make sure your ensemble's or group leader's name appears on the check or money order. a) Selected solo and ensemble winners will be invited to perform at the Historic 1867 Sanctuary in Ewing, NJ on May 5, 2018.
b) The performing composition must be exactly as in the Preliminary Round (no exceptions); all repertoire requirements of Preliminary Round apply. c) Soloist must provide his/her own piano accompanists (unless unaccompanied piece is performed). If soloist is not able to provide an accompanist, he/she can request an accompanist from GMP (additional $99 non-refundable accompanist fee will apply, which will include 10 min. rehearsal and performance). d) Photo and video recording during the Festival Gala Final Round is strictly prohibited. e) The non-refundable $99 performance package fee, (separate from application fee) includes 5 tickets (for family and friends), performer's certificate and a teacher's certificate. Set of digital pictures. Free One-Year GMP Membership for 2018-2019 Season. Additional tickets can be purchased for $20 at the door. f) A video recording file of an individual's performance from the Festival Gala Final Round can be purchased separately upon request (optional). g) All finalists and their accompanying persons will be responsible for their personal expenses including traveling, hotel, meals, sightseeing etc. h) All finalists will receive an email with detailed instructions about the Award Ceremony, Winners Recital, Recital Fee, additional tickets etc. ​i) The best performers of the Festival Gala Final Round will receive special awards. Participants will be adjudicated by a panel of distinguished musicians. Finalists will be invited to perform at the Winners Recital at the Historic 1867 Sanctuary in Ewing, NJ. Best performers will be selected among finalists to receive special awards. Awards cannot be transferred or exchanged. Judges have the right not to assign all awards. The judges' decision is final and cannot be appealed. GMP reserves the right to disqualify any entry or entrant in its sole discretion. Reasons for disqualification may include, but are not limited to: failure to meet the above eligibility criteria, non-abidance by the Festival Rules, inappropriate behavior (misconduct of participants, their parents, guardians and/or relatives) during the Festival, providing untruthful, incomplete, inaccurate or misleading personal data or information. A completed Soloist or Ensemble Application Form*. YouTube (or other platforms, such as Vimeo, YouKu etc. viewable in United States) link or DVD, if the application package is mailed by post. Short biography (up to 100 words) in MS Word or PDF formats. Photocopy of a government issued ID or birth certificate (to verify the performer's identity). *Application form must be submitted by a parent/guardian if the applicant is under 18 years of age. By entering the Festival, the applicant releases and holds the Global Music Partnership and its partners harmless from any and all liability for any injuries, loss or damage of any kind to the entrant or any other person, including personal injury, death or property damage, resulting in whole or in part, directly or indirectly, from acceptance, possession, use or misuse of any award, participation in the Festival and/or Recital, any breach of any Festival Rules or in any award-related activity. The entrant agrees to fully indemnify, without limitation, the Global Music Partnership from any and all claims by third parties relating to the Festival. As a condition of entry, all applicants grant GMP the right to: a) Use his or her personal information for the purpose of administering the Festival; b) Use his or her name, email, mailing address, photograph, video and audio recordings, likeness, voice, prize information and/or biographical information for publicity and promotional purposes without further compensation, unless prohibited by law; and c) Use his or her name and his or her respective City and Province of residence in connection with any media now known or hereinafter devised. All parties will use personal information only for purposes related to the Festival. ​GMP assumes no responsibility or liability for lost, late, misdirected or incomplete entries, notifications, responses, replies, release, any defective application form or any computer, online, telephone, hardware, software or technical malfunctions that may occur, including but not limited to malfunctions that may affect the transmission or non-transmission of an audition materials and application form. GMP is not responsible for any incorrect or inaccurate information regardless of the cause. GMP is not responsible for any injury or damage to entrant or to any computer related to or resulting from participation or downloading materials from this website. GMP reserves the right to make changes to its website, rules, policies, and regulations at any time without notice.